Hi all. My first post! I was in Glasgow in May for the first time since we left in January 1955. 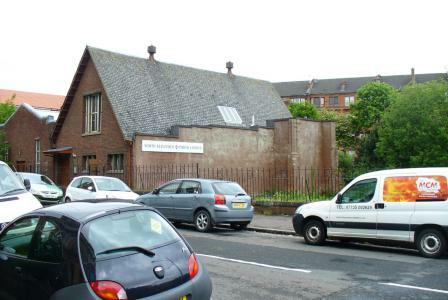 I found that this church (the one at the corner of Queen Margaret Drive and Kelbourne Street where the Rev Tom Allen used to be) had been demolished. The old Church Hall is still there and seems to be functioning now as the church. Does anyone know when this demolition happened and why? I too was a member of North Kelvinside untill I left Glasgow in 1954/5. From memory - old family letters etc. - I'm afraid I can't uncover the exact date but it must have been around the early 60s. I'll see what I can find. Meantime I can say that I remember well, many of the folk who attended the church and indeed am currently trying to find one of the members through this site. So many names spring to mind. Tom Allan, of course with his tremendous energy and powerful sermons. He had a huge influence on so many local people. I don't like bandying folks names on the web without permission but if you care to drop me a private email we may find some old common ground and associates. I'm a newby myself so am not sure how sending a private email works so I'll keep an eye on this topic just in case. AlexK, I've just remembered an old story my dad used to tell about NK. When it was being built they discovered there were old mine diggings or voids deep underneath. The builders were up to the level of the start of the main door arch right round the church. When they came in next morning the whole edifice had sunk to ground level and they virtually had to start again. I have no proof the story is true but I do know the church was having subsidence problems even in my day. I used to live locally to the church but that too has gone along with Kelvinside Church (at the top of the avenue) and NK School. I've a bit of a head start on you in that when I left Glasgow in 1955 I was 20 so was a bit more aware of some of the people around the church. Remember Bill Shannon? He was the assistant minister. How about Jenny or Ian Tulloch. If you went to the Sunday School she or he may have been one of your teachers. Ian was about 6'6" ! Please note also that records prior to 1981 are held at the City Archivists, Mitchell Library, North Street, Glasgow (telephone 0141 287 2910). I hope that this information is helpful to you. Please note that I have forwarded your email to Development and Regeneration also, who may be able to provide relevant information. I don't know your location but if it's within striking distance of Glasgow - The Mitchell is the place to go. I've been on their website but haven't managed to locate anything about the church or uncover the "City Archivist" ! I now live in in the South of England so nipping up to Glasgow is not something to be taken on lightly. That's as far as I've got but I too am interested so I'll carry on digging at this end and let you know if I find anything. Good to hear from you. I will keep in touch. I am a NKS former pupil and my friend lived at the bottom of the avenue in the last close . I recall just before the close was a pen where the coalman Mr McCartney I think kept his horses and carts.The church hall has done a full turn and is now Crosslands Public House. We used to cut through the pen to get to the 'Sandy Park' where we played football. I never did understand why it was left as an open(if somewhat muddy) space. Well I dont recall the snooker hall,perhaps there was and it was converted to stables.We are taling 40 years ago when I was at NK.Do you recall the stables? I was going back a bit further than that. I left Glasgow in '55 but there were stables out the back somewhere. Whether they were the coalman's or not I can't say. I remember some problems about the state of the place not being fit to keep animals. It was a pretty shabby place. The snooker hall was well known for smalltime brawls and rowdyism though we were never affected by its presence. I'm pretty sure there was something else in the pen but for the life of me I can't remember now what it was. There was a wee shop down that part of the avenue as well but there was something strange about that too - like it didn't seem to sell anything. Maybe it had a shop window and somebody was living in it as a house - who knows? Thanks to both Steeplejack and Venus for the discussion. I am still struggling with my memory without much success. 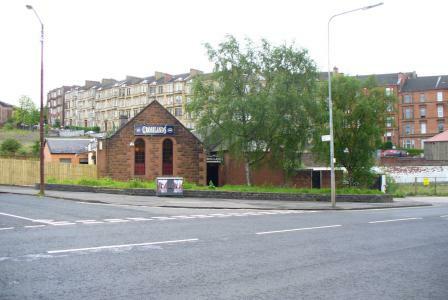 I do know, however, that the church hall that became the Crosslands pub was not the NK one - it's across Queen Margaret Drive. Someone told me that it had been a Baptist Church - though for the life of me I can't remember that having been there. The NK church hall is in the same location that I remember and is in a corner taken out of the children's play park. I have attached photos of both buildings that I took in May (I hope). You're spot on about the church hall. I just assumed that Venus was referring to the old Baptist Church hall which backed on to the 'Sandy Park' as I called it. The NK church hall is very much alive acording to information available on the web. I do remember the Baptist Church though so much has been demolished and/or changed in the area it's hard to remember what it was like all those years ago. I really must make a trip back and have a good look round though they say one should never go back to places you once lived because you'll always be disappointed. I haven't heard anything from the City Council as yet about the demolition. Hi.... and apologies if I caused any confusion re the church.Im not well up to the church names and the one I was talking about was down at the bottom of Kelvinside Avenue,the only part left being the public house. Not a problem Venus. Looking at AlexK's pictures of the corner of Kelviside Avenue breaks my heart. I would love to know why the whole Avenue had to be pulled down including the Baptist Church. Remembering exactly what the corner looked like is almost impossible and I can't find any pictures in any of the archives. Found Belhaven Institute and I think that is still standing albeit not as it was origianlly - a church ? There are two pictures on the Mitchell Library site showing the church and also a hall opposite which was used as a school dining hall for NK pupils.Fortunately I never had to use it.